As simple as calling us at +34 952 233 507 or send an email to rentacar@marbesol.com. 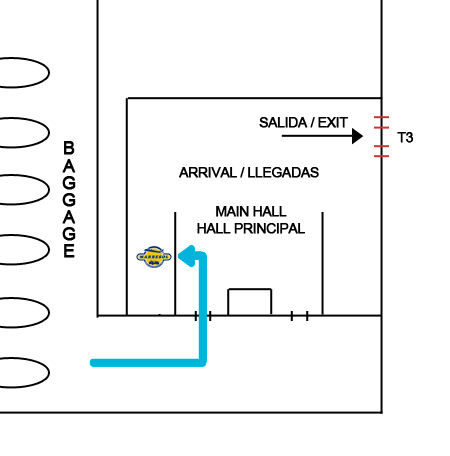 As you go out the arrivals main hall turn right. When you reach the taxi stop turn right again and go into the tunnel. 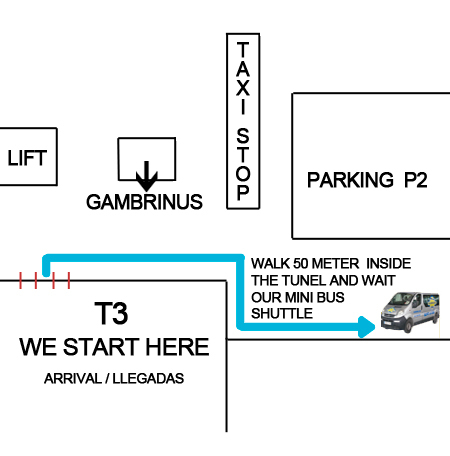 Walk around 50 meters until you see a sign were you can read "Shuttle Bus". That is the stop were you have to wait for the minibus. Each car will have a fixed term of at least one day and no more than thirty days. If you need the vehicle for a longer period you will have to contact the reservation department by telephone +34 952 233 507 or email rentacar@marbesol.com. In case of continuation, before the end of its current lease, you should request for a confirmation in the reservation department +34 952 233 507 and go through a Marbesol offices to sign the new contract. If not, insurances will lose their validity and an extra will be charged a day in respect of late returns. If your reservation has being done more than 24 hours ago and you have not received an email confirming it, probably it has been blocked by the anti-spam filter of your email. Check out if our e-mail is either in the "spam"or " trash mail" of your email. If so, configure your account so that your filter does not block emails from marbesol.com or rentacar@marbesol.com If the confirmation email is NOT in the spam folder, send us an email reporting the incidence to rentacar@marbesol.com or contact us at +34 952 233 507.